Looking out for a place for your next Leisure Vacation? 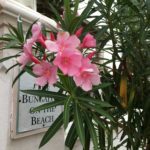 Well, put an end to your search here… The Bungalow on the Beach is a perfect option for you! Standing true to its name this place is situated along the coast of the Bay of Bengal. Accompanied by the Danish Fort on the right and the Masilamani Nathar Temple on the left. 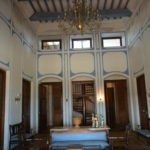 It is a 17th-century old house in a small town of Tranquebar or Tharangambadi, Tamil Nadu, India. 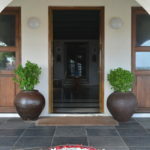 I was travelling from Pondicherry, so took a cab from there which took us 2-2.5 hrs to reach the property. The ride was smooth, crossing various fields and villages. 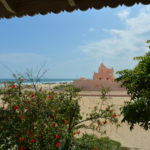 Tranquebar is a small town which can be easily reached by road from various locations. And here stands this beautiful property c alled the Bungalow on the Beach. 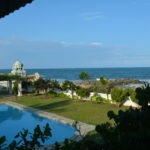 In 2004 when the tsunami hit the area the property was totally destroyed and recreated now by Neemrana. 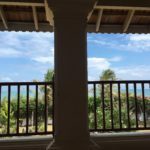 The mear sight of it is beautiful, maintained like an old colonial house overlooking the sea with all the modern amenities. 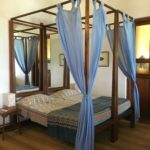 The property has 8 huge and well-designed rooms named after the king of Denmark as there are various stories about the Danish influence around the place. Rooms have all the basic amenities like television, almira, kettle, hot water, hairdryer etc in the bathroom. The High ceilings and the breathtaking views from the balcony are some USPs of the property. 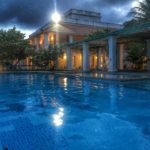 The beautifully created swimming pool adds to the aura of the place. 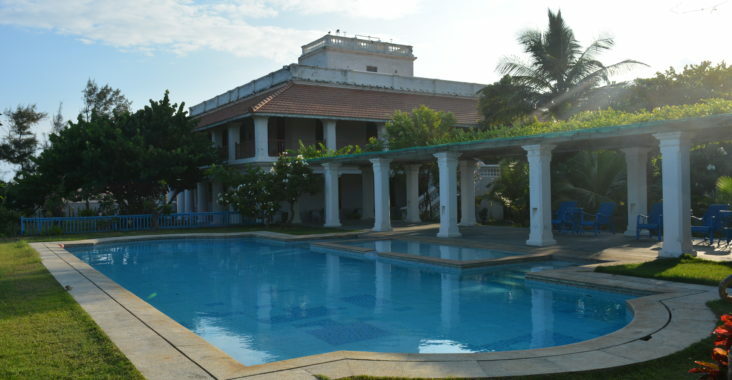 The property has sustained its heritage look, keeping pace with all the latest facilities. Walk around the beach but beware of the crabs. Wake up early and watch the sunrise at the beach. 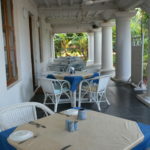 Enjoy the delicious food in the courtyard adjacent to the garden and with pool view. Also, they have an inside seating, with the white and blue theme. They offer an awesome breakfast buffet, or fresh seafood also try out various delicacies from the Creole cuisine. 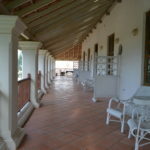 Feel the cool breeze from the ocean wind at the balcony/verandas.